The NYC-based artist will perform songs from his acclaimed new album American Utopia as well as classics from his solo career and his days with Talking Heads. A 12-piece band will join Byrne on stage for an Annie-B Parson choreographed concert that he has called “the most ambitious show I’ve done since the shows that were filmed for Stop Making Sense.” Annie-B Parson also choreographed the St. Vincent and David Byrne collaboration tour around Love This Giant. For NZ fans, it will be Byrne’s first tour of the country since 2009. 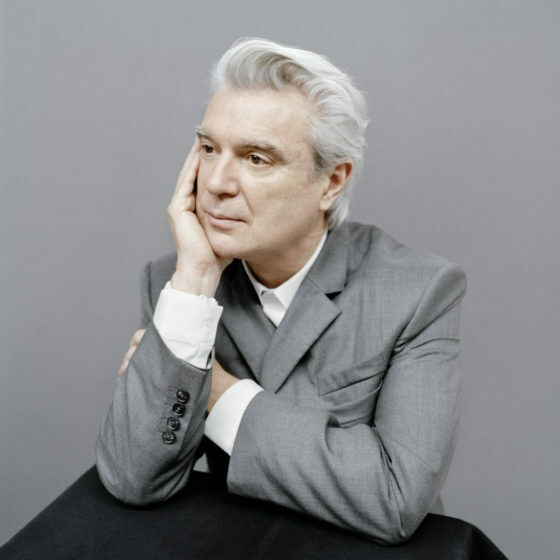 With his sets including a wealth of Talking Heads tracks such as ‘Once In A Lifetime’, ‘Burning Down The House’, ‘This Must Be The Place’, plus Byrne’s latest stunning new solo work, his collaboration with St Vincent and more, these shows will be unmissable. His first solo album in 14 years (following 2004’s Grown Backwards), American Utopia was released in March 2018 via Todomundo/Nonesuch Records. The first track from the album, ‘Everybody’s Coming To My House’, was co-written with Brian Eno and contributions from TTY, Happa, Isaiah Barr (leader of the Onyx Collective), Daniel Lopatin (Oneohtrix Point Never), Mercury Prize winner Sampha, and others feature throughout the release. Byrne has just released latest single ‘Every Day Is A Miracle’, also written with Eno. American Utopia debuted at # 1 on the Top Album Chart in the US, the highest chart position of his career, as well as at #1 on the Canadian album charts, plus Top 20 in the UK and Ireland. The career chart highs were repeated across Europe, including in Austria, Belgium, Czech Republic, Germany, Italy, Netherlands, Portugal, and Switzerland, amongst others. One of pop music’s true visionaries, Byrne has released six solo albums, collaborated with Eno, St Vincent, Arcade Fire, Fat Boy Slim, De La Soul and more; won an Oscar; founded the Luaka Bop label; turned a ferry terminal into a musical instrument, designed bike racks, and published 2012 book How Music Works. The Talking Heads leader is currently on the road in the UK/Europe, having already taken his 80+ date world tour everywhere from Santiago to Tuscany, Saskatoon to Mexico City. Read more about the tour and Byrne’s new album in in-depth interviews with The New York Times and GQ. Byrne announced the release of American Utopia during a presentation of Reasons To Be Cheerful – an ongoing series he curates of hopeful writings, photos, music, and lectures. The presentation was given at New York’s New School to a live audience and also was streamed via his Facebook page, while fans can sign up to the Reasons To Be Cheerful website to receive Byrne’s ‘thoughts, images and audio relating to this initiative’ – head here.